Encouraged by her parents to pursue medicine, Maria Lourdes Banaad-Omiotek has dedicated more than 25 years to the field. She determined early on that she didn’t want to do surgery, and discovered family medicine while looking into alternatives. She quickly realized she had found her niche. Now, Dr. Banaad-Omiotek is using her expertise in her role as an attending physician at Family Doctor-Family Healthcare, a subsidiary of Presence Health, in Illinois. She has been there since 2004, and is responsible for meeting with and treating patients on issues related to family preventative care. Additionally, Dr. Banaad-Omiotek recently added the position of director of the scholarship program at Ateneo de Manila University to her resume. Previous positions include research assistant in the Department of Hepatology at Rush University Medical Center and doctor at the G.D. Banaad Clinic. To prepare for her endeavors, Dr. Banaad-Omiotek earned a Bachelor of Science in biology from Ateneo de Manila University in 1989 and an MD from UERMMMCI in 1993. She then completed an internship, a residency in internal medicine, and a chief residency at Cardinal Santos Medical Center, and a residency in family medicine and a chief residency in family medicine at Swedish Covenant Hospital. Further, she became certified in family medicine through the American Board of Family Medicine, Inc., licensed to practice medicine in the state of Illinois, and a diplomate of both the Philippine College of Physicians and the Educational Commission for Foreign Medical Graduates. 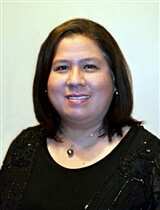 Dr. Banaad-Omiotek ensures she remains connected to her peers by maintaining affiliation with the American Academy of Family Physicians, the American Board of Family Medicine, the Chicago Medical Society, the Illinois Academy of Family Physicians, and the Philippine College of Physicians. She has also published her findings in a variety of professional journals; most recently, “Current liver biopsy practices for suspected parenchymal liver diseases in the United States: The evolving role of radiologists,” was printed in the American Journal of Gastroenterology and “Adult Living Donor Liver Transplantation: Preferences About Donation Outside the Medical Community,” was printed in Liver Transplantation. As a testament to her success, Dr. Banaad-Omiotek was recognized as an honoree by the Via Times Hall of Fame for Excellence in Medicine in 2017 and as the Most Outstanding Resident by the Swedish Covenant Hospital from 2003 to 2004. She attributes her achievements to her affinity for science and to the support of her parents. Further, there is a large Philippine population in Chicago, and, being from the Philippines herself, Dr. Banaad-Omiotek has accrued a large following. She can communicate with them in their native language, allowing them to understand her and feel comfortable. When Dr. Banaad-Omiotek has spare time, she enjoys hobbies like traveling and practicing martial arts. She has been a shodan within the World Seido Karate Organization since 2009.